Turkey Piccata | Let's Cook With Bry! Here’s a quick and delicious version of an Italian classic that is similar to Turkey Scallopini. Double or triple the recipe depending on how many servings you’d like – this recips yields two servings. 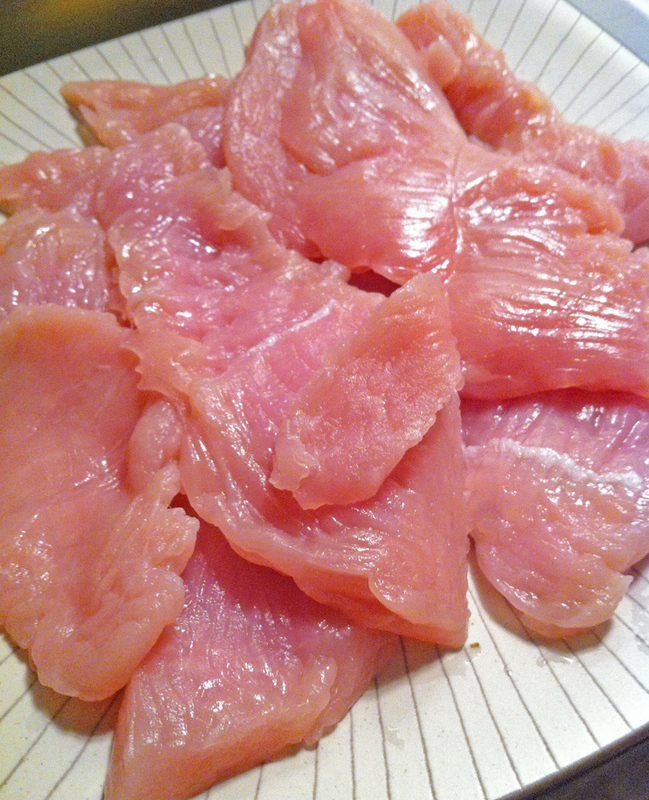 Slice the turkey breast crosswise into 1/2 inch slices. Cover with plastic wrap that has been spritzed with a little water, spritz the top again, and gently pound to about twice the original size, no less than 1/8 inch thickness. Use a wide, flat meat mallet and outward strokes, or use a heavy can of food with a metal pie tin – the key is not to damage the meat to the point of tearing. Season side A with salt and pepper, and place the breast side A into a pan of flour to lightly coat. Season side B with kosher salt and pepper, and flip to lightly coat with flour, dusting off any excess. Heat 4 Tbsp. unsalted butter and 2 Tbsp. olive oil in a pan over medium high until hot but not smoking. Cook for about 2 minutes on each side, and place in a foil wrapper and into a 200 degree oven to keep warm. Reduce heat to low and add 2 Tbsp. finely chopped shallots to the pan, and cook for about a minute. Add 1/2 cup wine and 1/3 cup lemon juice and let simmer for 2 – 3 minutes. Whisk in 2 Tbsp. 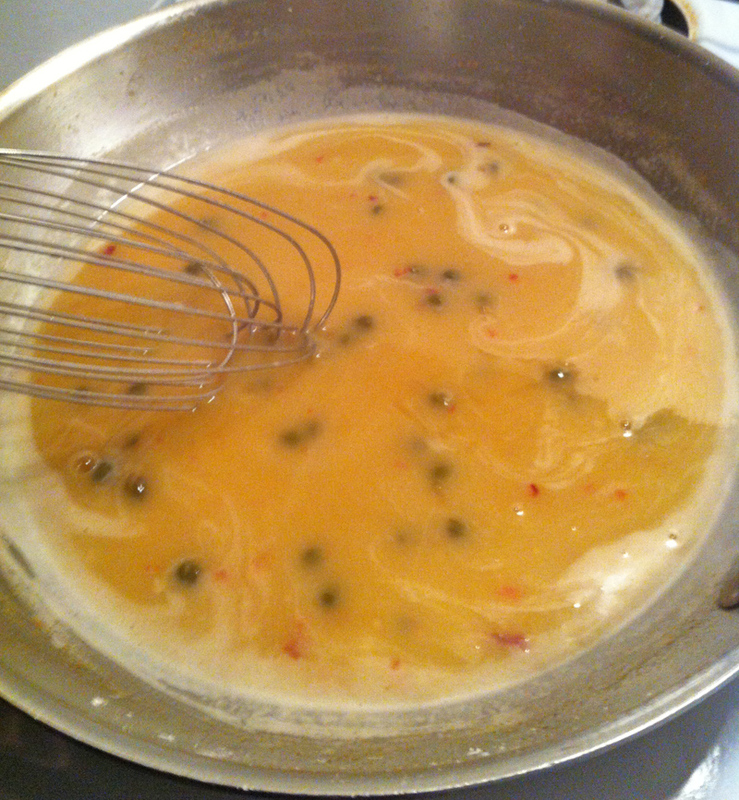 butter and continue to whisk until thoroughly integrated. 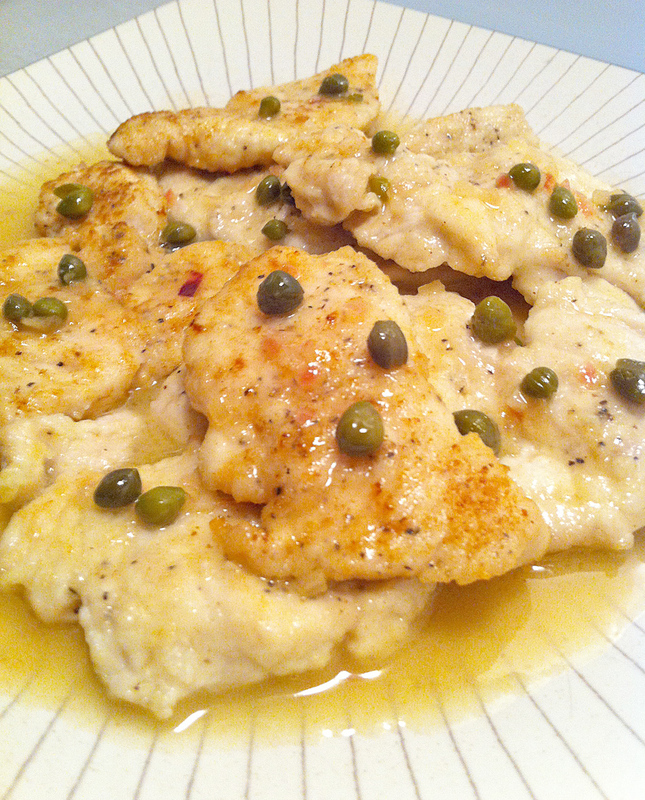 For a sharper sauce, finish the piccata with capers or peppercorns. Transfer the turkey to a warmed platter, and cover with the sauce evenly. Garnish with 1 – 2 Tbsp. of parsley.